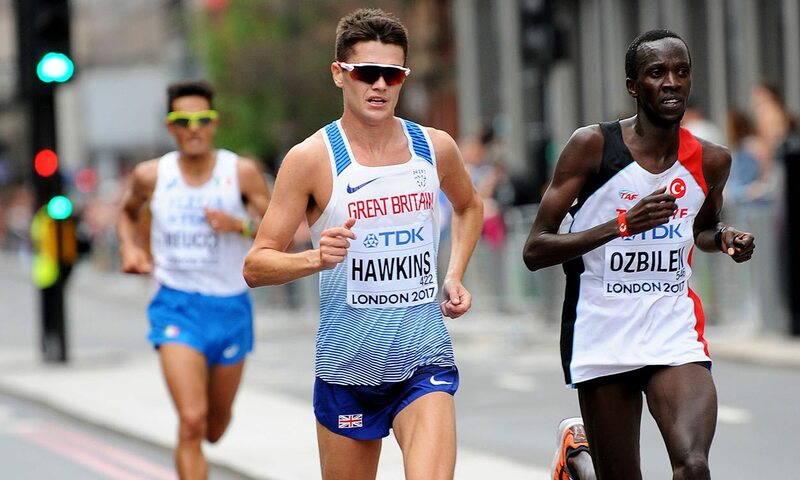 Callum Hawkins has been waiting patiently but the Scot is now relishing the chance to take his turn as he prepares to contest the marathon on the final day of Commonwealth Games competition on the Gold Coast. The 25-year-old will not be short of confidence as he heads the home nations challenge in Australia on Sunday, having underlined his championship credentials over the 26.2-mile distance with a superb fourth place at last year’s IAAF World Championships in London, which followed on from him finishing ninth at the Rio Olympics. Hawkins is undoubtedly a medal contender at these Games and, with New Zealand’s Zane Robertson out of action through injury, there’s little surprise in that his main opposition looks likely to come from Kenya. Kenneth Mugara may be 44 but he has plenty of local knowledge, having won the Gold Coast marathon in 2015 and 2o16, as well as finishing second last year. The 42-year-old Julius Nderitu Karinga and compatriot Nicholas Kamakya both boast personal bests quicker than Hawkins, although neither of those marks are particularly recent. Australia’s defending champion Michael Shelley can’t be discounted in front of the home crowd either, but opportunity is most certainly knocking for Hawkins and he is well prepared for the task at hand. “I’m really looking forward to it now and the Commonwealth Games has been a big target for 2018 for quite some time looking back,” says the man with a personal best of 2:10:17. “We’ve been out in Australia since right after the Big Half in London early in March (where Hawkins came third). It was something we felt we had to do to get over the trip, get used to the conditions and get some training in here under the Aussie sun – although we’ve had wind and rain as well. Training has gone pretty well but it will definitely be tough competition. “On PB performances I am ranked about sixth; Kenya always send a quality team with Kenneth Mungara having won the Gold Coast Marathon twice so he will be very much at home on this course. “The Australians are competing in front of a home crowd and with Michael Shelley being a Gold Coaster as well as being the defending champion after winning in Glasgow 2014 then he commands respect, too. Hawkins will also be joined in the field by compatriot Robbie Simpson, with further home nations interest coming in the form of Welsh duo Josh Griffiths and Andrew Davies, Northern Ireland’s Kevin Seaward, as well as Guernsey’s Lee Merrien. “It’s a much smaller field than most of us will have been used to and it is a Championship race which can throw up different challenges,” adds Hawkins. “The most obvious one is that Sunday’s isn’t about times. “The marathon is the last event in the athletics programme and I know others in the Team Scotland will be supporting myself and Robbie as well as Sammi Kinghorn in the wheelchair race, although they will have to get out their beds early! A wee bit of backing out on the route will help and those who have been competing in the stadium are telling me they are hearing a lot of support.